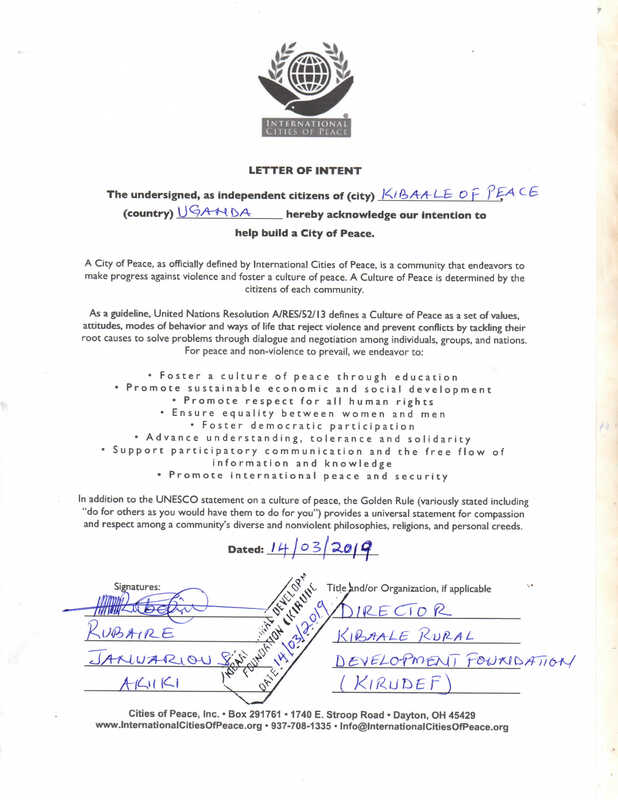 We welcome Januarius Rubaire and his colleagues at the Kibaale Rural Development Foundation who have established Kibaale, Uganda as an International City of Peace. The organization is based in the Kibaale District of the country and is working for the poor communities and vulnerable children. They are also implementing programs to protect the environment. Among the many areas of concern are water and sanitation, education, health, and economic development. 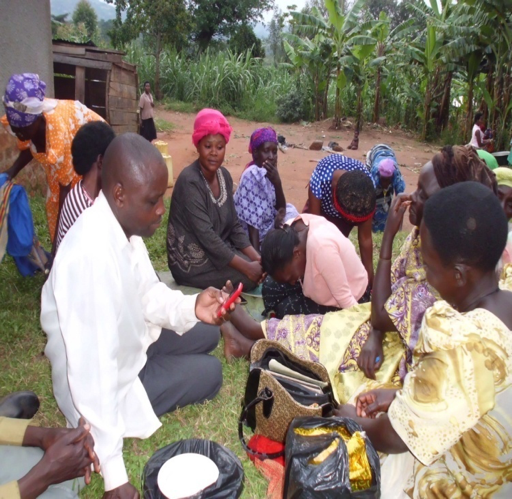 A community based organization which was formed 2007 in Kibaale District. Kibaale is one of the towns in Uganda and it was formed in 1992 after the break away from Hoima and it is formed in the Mid –Western region of Uganda. It is found in the Oil region Bunyoro Kitara Kingdom. Kibaale Rural Development Foundation (KIRUDEF) is a community based organization aimed at enhancing sustainable development to the community through capacity building, advocacy, education, resource mobilization, group formation, saving and credit, rural infrastructure improvement and enhancing of human rights, gender and democratic governance through community mobilization and sensitization. 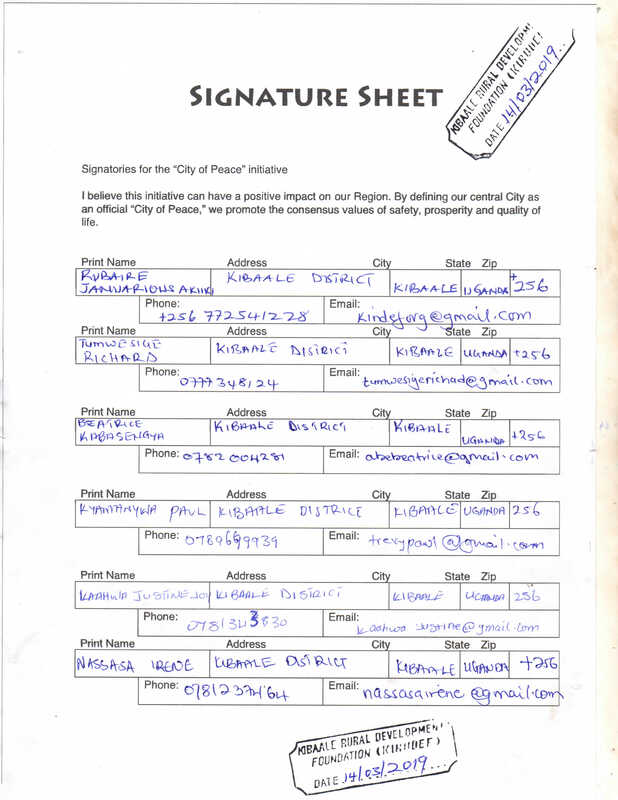 The organization was started way back in January 2005 in Kibaale District of Uganda.However, its target was to cover the entire district of Kibaale. The head office for the organization is located in Kibaale Town, It is worth noting that the organization has competent well trained and skilled staff in their areas of deployment. To create an environment that is enjoyable both for the current and future generations. To contribute towards improved household livelihood of the community through their increased participation in self-help and community development projects. We intend to come up with a proper garbage collection and disposal program in all trading centers of Buyanja county to prevent disease spread as well as protecting the environment. 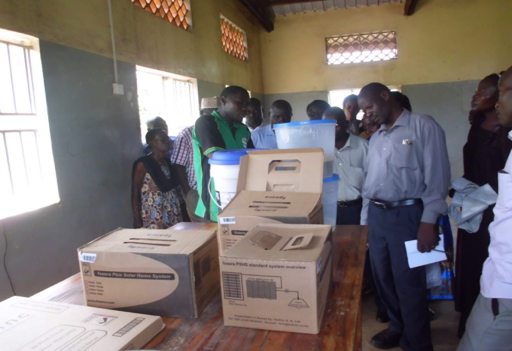 KIRUDEF intends to put in more effort in sensitizing the people on proper hygiene, HIV/AIDS control, immunization programs and malaria control. As such, the organization shall distribute mosquito nets We intend to reduce on the rate of Infant mortality and ante-natal deaths. 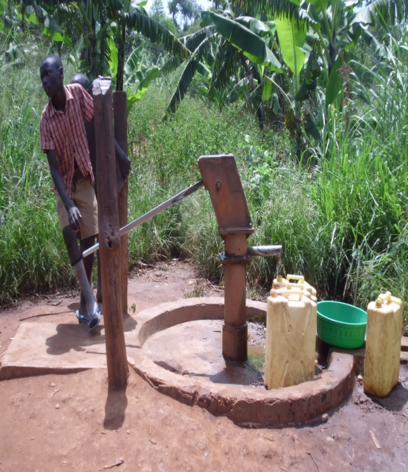 In the field of water and sanitation, we intend to extend the supply of safe and clean water to communities who have no access to it in form of spring protection,shallow wells . To increases household income through the promotion of Agriculture. 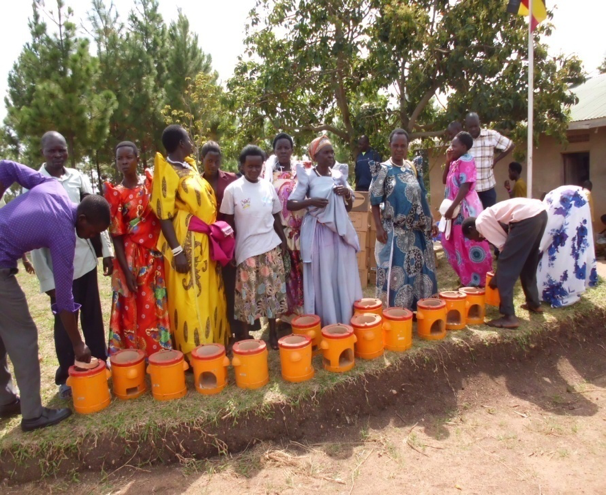 To improve household hygiene and sanitation. To promote formal education through helping the needy and orphans. To protect the the environment through mass sensitization and afforestation. To create self-help groups for the disadvantaged people. To promote a saving culture through saving and credit practices. To create safe water availability through construction and rehabilitation of safe water sources. To improve on market accessibility by the local community through road infrastructure improvement and adequate market research. We intend to expand and upgrade the St. Joseph Community Nursery and Primary School and KIRUDEF Vocational Training Center by building more structures and providing more and better teaching and learning tools. To cater for the increasing number of pupil’s who have completed primary level, we have plans of setting up a standard secondary school in Kikonge- Kibaale Town Council. 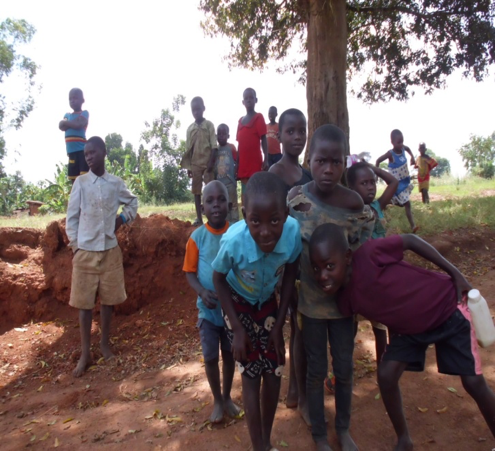 For the orphans and vulnerable children, we intend to set up and operate an Orphanage Center in line with the laws of Uganda and provide for them education requirements and basic necessities s of life like food , shelter, accommodation and health services. There are prospects of setting up a Community Center housing a public library, computer training center and internet cafe, conference rooms and theater basically to facilitate research, community mobilization and holding of various functions. The center will as well act as the headquarters of operations as such requires installment of solar power and computers. We intend to come up with a Solar Power Access Program for the community in that solar equipment like panels are sold to those who feel eligible on a hire purchase basis or co-funding operation as a measure of conserving the environment and enabling the people access a convenient source of power. 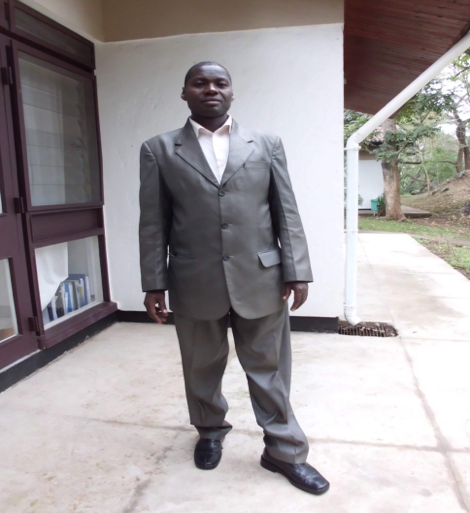 The Founder and Director Kibaale Rural Development Foundation. 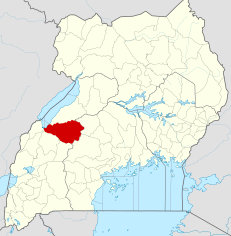 Kibaale District, is a district in the Western Region of Uganda. The district headquarters are in the town of Kibaale. Kibaale District is bordered by Hoima District to the north, Kyankwanzi District to the north-east, Mubende District to the east, Kyegegwa District to the south-east, Kyenjojo District and Kabarole District to the south-west, and Ntoroko District to the west. 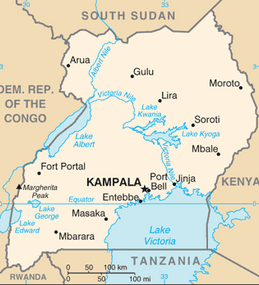 The district headquarters at Kibaale are approximately 219 kilometres (136 mi), by road, west of Kampala, Uganda’s capital and largest city. The coordinates of the district are 00°47’00.0″N, 31°05’00.0″E (Latitude:0.783333; Longitude:31.083333). 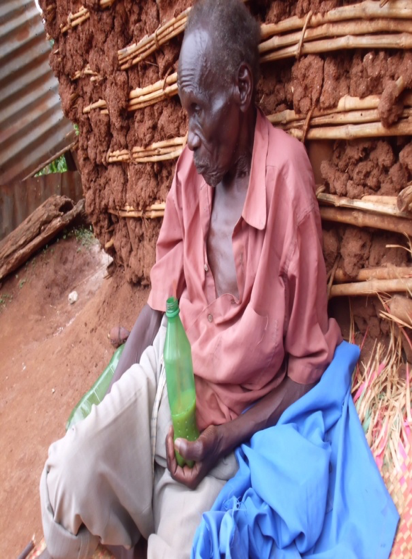 Kibaale District is part of the Kingdom of Bunyoro, one of the traditional monarchies in Uganda. The kingdom is coterminus with the Bunyoro sub-region. Kibaale District is part of an area known as the “Lost Counties”. The 1900 Uganda Agreement defined the boundaries of the Buganda Kingdom, including the important areas of Bunyoro south and east of the Kafu River. The “Lost Counties” were included as a sub-national territorial element of Buganda. The administration of the Lost Counties as well as Bunyoro itself was modelled on the Buganda political system and under the leadership of Baganda chiefs. In a referendum held in November 1964, the residents in the two lost counties voted to return to the Kingdom of Bunyoro.